Birth*: He was born on 17 April 1750 in England. Marriage*: He married Mary Culley on 20 October 1777 in Virginia. Marriage*: He married Susannah P. Smith, daughter of Peter Smith and Bathsheba Foster, on 28 November 1794 in Mathews County, Virginia. Death*: He died on 24 May 1824 in Charlotte County, Virginia, at age 74. Birth*: She was born on 1 September 1756 in Gloucester County, Virginia. Marriage*: She married Thomas Gayle, son of _____ Gayle and _____ _____, on 20 October 1777 in Virginia. Death*: She died in 1793. Birth*: She was born on 28 December 1758 in Gloucester County, Virginia. Marriage*: She married Thomas Gayle, son of _____ Gayle and _____ _____, on 28 November 1794 in Mathews County, Virginia. Death*: She died in January 1854 in Charlotte County, Virginia, at age 95. Marriage*: He married Bathsheba Foster. Marriage*: She married Peter Smith. Birth*: He was born in 1783. Marriage*: He married Virginia ('Jenny') Neal, daughter of John Neal and Elizabeth Allen Stokes, on 24 November 1806 in Halifax County, Virginia. Marriage*: He married Susannah Boyd on 7 January 1819. Death*: He died in 1857 in Halifax County, Virginia. Marriage*: She married Robert Gayle, son of Thomas Gayle and Mary Culley, on 24 November 1806 in Halifax County, Virginia. Death*: She died before 1817. Marriage*: He married Elizabeth Allen Stokes. Marriage*: She married John Neal. Birth*: She was born in 1787. Marriage*: She married Robert Gayle, son of Thomas Gayle and Mary Culley, on 7 January 1819. Death*: She died after 1857. Marriage*: She married David Blackstock on 25 December 1817. Marriage*: She married Francis P. Ryan, son of William Ryan and _____ _____, on 17 January 1825. Death*: She died in 1875. Marriage*: He married Nancy Gayle, daughter of Thomas Gayle and Mary Culley, on 25 December 1817. Birth*: He was born in 1805. Marriage*: He married Nancy Gayle, daughter of Thomas Gayle and Mary Culley, on 17 January 1825. Death*: He died in 1878. Marriage*: She married William Ryan. Marriage*: He married Lucy Murphy. Birth*: He was born in 1790. Marriage*: He married Elizabeth Terrell on 17 November 1819. Death*: He died after 1854. Marriage*: She married John Gayle, son of Thomas Gayle and Mary Culley, on 17 November 1819. Death*: She died between 1840 and 1846. Marriage*: She married John Gayle, son of Thomas Gayle and Mary Culley. Birth*: He was born on 27 July 1796. Marriage*: He married Elizabeth Coleman, daughter of Obediah Coleman and _____ _____, on 8 December 1819 in Mecklenburg County, Virginia. Death*: He died on 4 February 1856 at age 59. Birth*: She was born on 20 August 1796. Marriage*: She married Thomas Gayle, son of Thomas Gayle and Susannah P. Smith, on 8 December 1819 in Mecklenburg County, Virginia. Death*: She died on 4 January 1868 at age 71. Marriage*: She married Obediah Coleman. Birth*: He was born in 1798. Marriage*: He married Mary J. Dortch on 22 December 1825 in Mecklenburg County, North Carolina. Marriage*: He married Nancy H. Jones, daughter of James Jones and _____ _____, on 7 October 1846 in Mecklenburg County, Virginia. Death*: He died in 1861. Marriage*: She married Christopher Gayle, son of Thomas Gayle and Susannah P. Smith, on 22 December 1825 in Mecklenburg County, North Carolina. Birth*: She was born circa 1812. Marriage*: She married Christopher Gayle, son of Thomas Gayle and Susannah P. Smith, on 7 October 1846 in Mecklenburg County, Virginia. Marriage*: She married James Jones. Birth*: He was born on 20 May 1802 in Charlotte County, Virginia. Marriage*: He married Mary Ann McConnico Pettus, daughter of William Pettus and Sarah Lester, on 23 March 1823. Death*: He died on 8 June 1853 in Clinton, Hinds County, Mississippi, at age 51. Birth*: She was born on 1 September 1803 in Charlotte County, Virginia. Marriage*: She married Peter Smith Gayle, son of Thomas Gayle and Susannah P. Smith, on 23 March 1823. Death*: She died on 26 November 1855 in Jackson County, Tennessee, at age 52. Marriage*: He married Sarah Lester. Marriage*: She married William Pettus. Marriage*: She married Robert T. Crowder on 15 November 1822 in Charlotte County, Virginia. Marriage*: He married Sally Gayle, daughter of Thomas Gayle and Susannah P. Smith, on 15 November 1822 in Charlotte County, Virginia. Note*: His name may have been Roland. Marriage*: She married _____ Gayle. Birth*: He was born circa 1745 in England. Marriage*: He married Joice Hall. Birth*: He was born in 1753. Death*: He died in 1794. Marriage*: She married Matthew Gayle, son of _____ Gayle and _____ _____. Birth*: She was born in 1763. Death*: She died in 1862. Rear Adm. Robert Malcolm Fortson Sr.
Rear Admiral Robert Malcolm Fortson, Sr.
Other Names*: Robert Fortson, R. Malcolm Fortson. [S771] R. Malcolm Fortson, Jr., family group record, 10 Nov 1994, above (naming Sarah Richardson Toombs as his mother). [S771] R. Malcolm Fortson, Jr., family group record, 10 Nov 1994, above. [S312] Social Security Death Index, online at http://tinyurl.com/AncestrySSDI, viewed on 27 Sep 2002 (stating that he was born on 26 Jul 1890 without naming the place). [S961] Find A Grave, online at http://www.findagrave.com, memorial for Adm. Robert Malcolm Fortson, memorial no. 60469480, viewed on 11 Nov 2013 (giving the date but not the place). [S961] Find A Grave, online, above, memorial for Adm. Robert Malcolm Fortson, memorial no. 60469480, viewed on 11 Nov 2013 (not giving the date or place). [S961] Find A Grave, online, above, memorial for Nellie Phinizy Fortson, memorial no. 60469623, viewed on 11 Nov 2013 (not giving the date or place). [S312] Social Security Death Index, online at http://tinyurl.com/AncestrySSDI, viewed on 27 Sep 2002 (stating that he died in Jul 1974; not naming the place of death but stating that he lived in Jacksonville, Fla. when he died). [S961] Find A Grave, online, above, memorial for Adm. Robert Malcolm Fortson, memorial no. 60469480, viewed on 11 Nov 2013. [S771] R. Malcolm Fortson, Jr., family group record, 10 Nov 1994, above (naming Robert Malcolm Fortson as his father). [S1562] Obituary of Commander R. Malcolm Fortson, Jr., 7 Feb 2019, online at http://tinyurl.com/ydhr6fpq, viewed on 8 Feb 2019 (naming R. Malcolm Fortson, Sr. as his father). Other Names*: Nellie Phinizy, Nellie Stovall Phinizy Fortson, Nellie Stoval Fortson, Nellie Phinizy Fortson, Nellie Fortson. [S771] R. Malcolm Fortson, Jr., family group record sent to Roger Bartlett, 10 Nov 1994 (naming Billups Phinizy as her father). 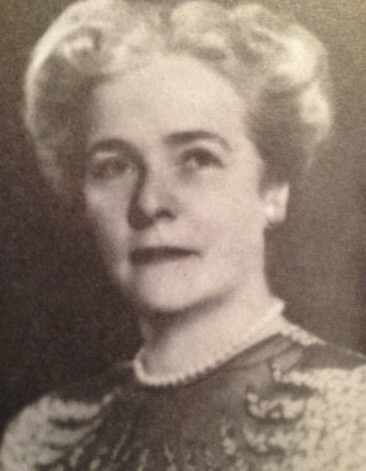 [S771] R. Malcolm Fortson, Jr., family group record, 10 Nov 1994, above (naming Nellie Gretter Stovall as her mother). [S312] Social Security Death Index, online at http://tinyurl.com/AncestrySSDI, viewed on 27 Sep 2002 (stating that she was born on 3 Sep 1894 without naming the place). [S961] Find A Grave, online at http://www.findagrave.com, memorial for Nellie Phinizy Fortson, memorial no. 60469623, viewed on 11 Nov 2013 (giving the date but not the place). [S312] Social Security Death Index, online at http://tinyurl.com/AncestrySSDI, viewed on 27 Sep 2002 (stating that she died on 19 Mar 1989; not naming the place of death but stating that she lived in Jacksonville, Fla. when she died). [S961] Find A Grave, online, above, memorial for Nellie Phinizy Fortson, memorial no. 60469623, viewed on 11 Nov 2013. [S771] R. Malcolm Fortson, Jr., family group record, 10 Nov 1994, above (naming Nellie Stovall Phinizy as his mother). [S1562] Obituary of Commander R. Malcolm Fortson, Jr., 7 Feb 2019, online at http://tinyurl.com/ydhr6fpq, viewed on 8 Feb 2019 (naming Nellie Phinizy as his mother). Cdr. Robert Malcolm Fortson Jr. 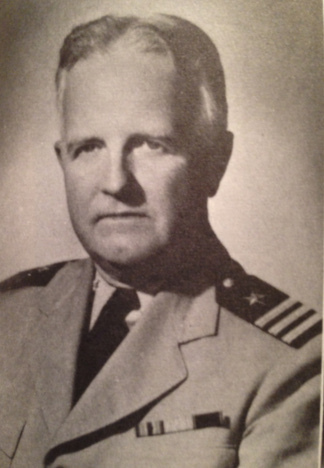 Commander R. Malcolm Fortson, Jr., from a newspaper obituary. [S771] R. Malcolm Fortson, Jr., family group record sent to Roger Bartlett, 10 Nov 1994 (naming Robert Malcolm Fortson as his father). [S1562] Obituary of Commander R. Malcolm Fortson, Jr., online, above (naming Nellie Phinizy as his mother). [S1562] Obituary of Commander R. Malcolm Fortson, Jr., online, above. [S1562] Obituary of Commander R. Malcolm Fortson, Jr., online, above (stating that burial would be at 2:30 p.m. with full military honors).